With huge potential for variety, and thus suitable for many potential tenants, this 3-room Altbau apartment offers a fantastic opportunity to secure an attractive property in a quiet and highly sought-after location in the Reuterkiez. The rented property has an efficient floor plan with three large rooms - two of them with loggia or balcony! The kitchen is quiet and large enough to spend many cosy evenings with guests there. 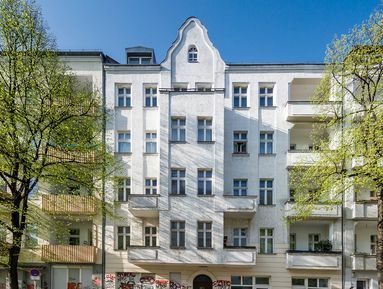 A well-lit bathroom with spacious bathtub, and a large storage room make this apartment complete and a rare chance for you to purchase an attractive property in the famed "Kreuzkölln" district.